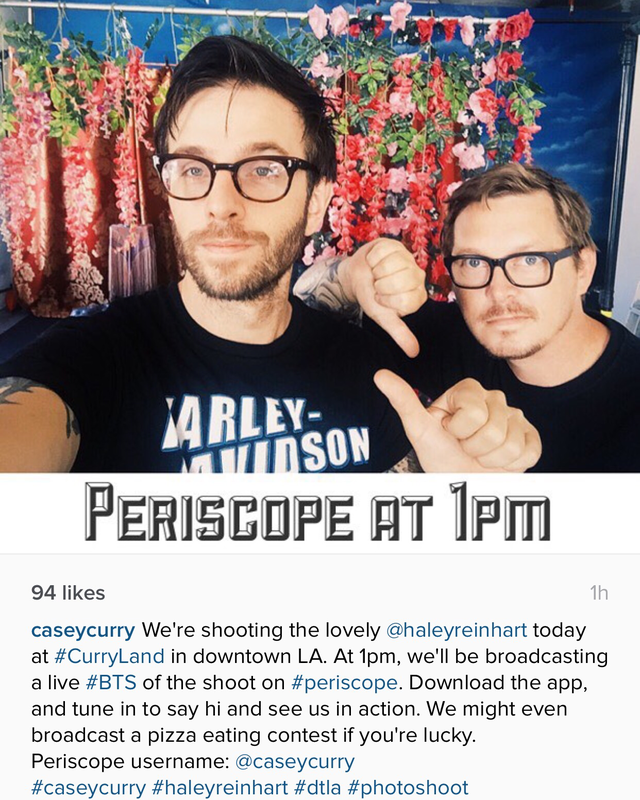 Tune in at 1pm PST to watch a live behind the scenes stream on the Periscope app of Haley Reinhart’s EP photoshoot in downtown LA! Casey Curry is a Los Angeles local photographer who has done photoshoots with celebrities like Bryan Cranston, Emilia Clarke, Dean Norris, Pharrell Williams, and many more. Follow @CaseyCurry on Periscope to be notified when the stream starts. It’s exciting that Haley has complete control now. The photo shoot looked sick! Wonder where she found Casey?